Somewhat unbelievably, it’s been 14 years since HIT Scotland held their inaugural Emerging Talent conference in a snowy Aviemore back in 2005. 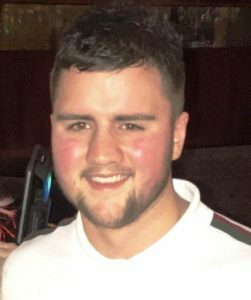 That first event marked the start of a phenomenon that is nowadays frequented by trainees, students, industry leaders and employees from the Scottish hospitality, catering and tourism sectors. Now renamed the HIT Talent Conference in order to reflect the fact that skills, expertise, ambition and future potential should be recognised and celebrated at any stage in an individual’s career, the event has gathered pace, popularity and respect within the industry over the last decade-and-a-half. Scholarships range from placements in Michelin-starred kitchens and five-star hotels, both at home and abroad, to unique experiences at the Disney Institute, the École hôtelière de Lausanne in Switzerland and as far afield as Dubai. Continuing our ongoing partnership with Caterer.com, the UK’s leading hospitality jobs board, CateringScotland.com celebrates the 15th year of these incredible awards in 2018 with this introduction to the Top 10 hospitality stars. Listed alphabetically, each of the following individuals has been recognised for their achievements and willingness to learn from the best in the business and are themselves becoming role models for others. So here they are, the CS Top 10 Hospitality Stars of 2019…. Your views about your experience: The people I met during my scholarship were all so diverse and learned a lot from one another. I was personally valued as an individual. – along with my own opinions and experiences – and the support and enthusiasm from my fellow scholars really spurred me on. 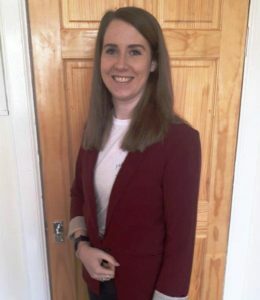 The confidence I gained helped my transition into my new role, how I now conduct myself within the wider management team meetings and when dealing with my own team in the hotel. Future plans: I feel extremely proud to be in my current position and I would love to progress the team here. I would like to work towards creating a team and strategy here that can be used as a benchmark and example for other hotels within the Cairn Hotel group. Ultimate ambition: I always knew I wanted to get into the event management industry and make a difference. I would love to work my way up the management ladder to director of sales within a hotel group. I’m keen to give back to others starting out in their careers, either within a training role or through lecturing students studying hospitality to give them a real sense of my experiences. Your views and about your experience: I learned about the history of wine, whisky, cocktails and beer, with some new things that I would never have otherwise known. It helped build my confidence and my knowledge, and it was a privilege to work with the amazing teachers on the course. It was also good meeting a lot of new people from different backgrounds and chatting to them about their job. Future plans: To share with my colleagues and customers the knowledge I gained in order to provide the best service possible. Ultimate ambition: To move up the management ladder. 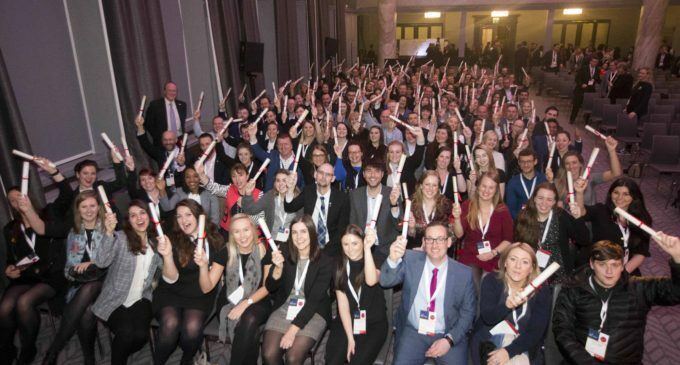 Your views about your experience: This was a unique opportunity to meet peers across the hospitality industry and share knowledge with those who were equally as enthusiastic. It was fascinating to learn the different business practices people use in their respective workplaces and how this could translate into my own work. My standout moment was hearing first-hand from our mentors about what they consider to be outstanding customer service and how this needs to be tailored to the varying types of customers. This is a skill I am continuously trying to apply throughout my daily work so I can ensure we are delivering a world-class service. Future plans: I’m aiming to move up the management ladder at Archerfield and am continually seeking ways to enhance our member and guest experiences at the club. 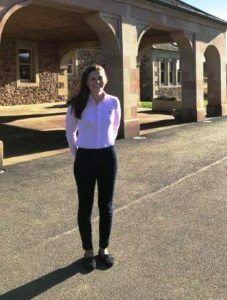 Ultimate ambition: To manage a team of my own as a director of golf at Archerfield and to continually improve our member and guests experience. 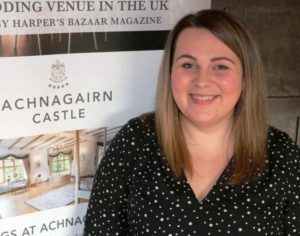 Your views about your experience: My scholarship was to shadow Sarah-Jane, the award-winning wedding coordinator at the Busby, just outside Glasgow. I have only ever worked in one such venue and I was interested to learn how to improve my knowledge about the sector in general. 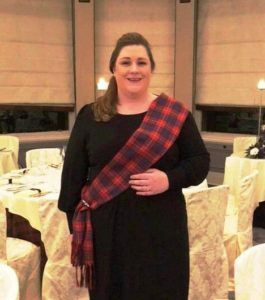 While we focused on ways in which I could improve my administration skills at Achnagairn Estate, the customer journey is nevertheless the most important part of my job and I certainly feel a lot more confident in my position after completing the scholarship. Future plans: I would love to be promoted to a junior management position at Achnagairn. Your views about your experience: To attend a course at one of the most prestigious hospitality schools in Europe was a career highlight for me. The time we spent in the classroom allowed us to examine and analyse the areas of our careers that we identified as the most challenging, and to share our experiences about how we have learned to overcome these in order to move forwards. I found it very beneficial to do this with a group of candidates from different areas of hospitality, as it gave a great range of experience and knowledge to share and learn from each other. ‘Moving through uncertainty’ and ‘Motivating teams’ were particularly useful modules; they helped me build strength and confidence within my team at a time when Gleneagles is undergoing a significant period of change since the new owners took control of the business. It has helped us adapt to changing work environments and to introduce higher service standards and new procedures. In doing so we have created a more desirable workplace and are now noticing greatly enhanced staff retention. Future plans: The knowledge I gained at the scholarship is helping me evolve within my management role and I hope this will help me look towards managing larger teams. Ultimate ambition: To be a knowledgeable manager, motivating my team around me whilst growing a successful business. Your views about your experience: I got to see behind the scenes of the Hamilton production in London, courtesy of Delfont Mackintosh Theatres, and it was such an incredible experience. Everyone was so friendly, inviting and informative and I felt like I was part of their team. It was great to see how all aspects of their theatre is run, from front of house to backstage, and I learned so much over my week. It’s given me the confidence to really go for my dreams, and that those dreams are achievable. Future plans: To become a stage or production manager. I love the buzz of working within a theatre and also the creativity involved in producing a show. Ultimate ambition: My main goal is to work on Broadway. 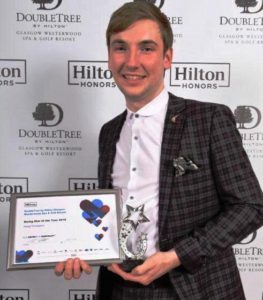 Your views about your experience: I worked alongside Lux Events in Edinburgh as they planned the 2019 HIT Talent Conference. The planning element was new to me but having attended in previous years it was great to be able to see the work that goes on in the background. 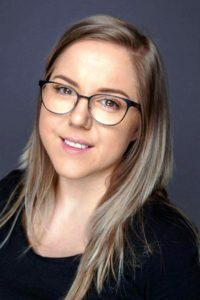 The experience also allowed me to network and build industry contacts and it has definitely given me more confidence in my abilities and ambitions. Future plans: To gain an honours degree and to work with an event management company. Ultimate ambition: To organise world-class events, and to inspire and support people who are looking to start their journey into the hospitality industry. 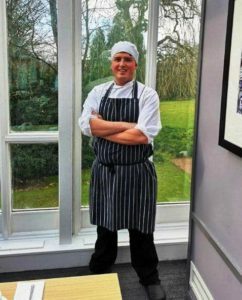 Your views about your experience: Having limited knowledge and experience in patisserie, the scholarship allowed me to develop my awareness of the different methods and skills from some of the leading pastry chefs in Scotland. It was great to hear their personal stories about their careers and the challenges they’ve faced. The scholarship was great for bringing people together and mixing professional levels of chefs who all share similar goals and aspirations. Having completed it, I feel more driven now and I have brought new ideas, skills and techniques to my workplace, all of which have enhanced my own development and allowed me to help others. Future plans: To learn new skills which will increase my confidence and abilities. Ultimate ambition: To become a head chef and run my own team. 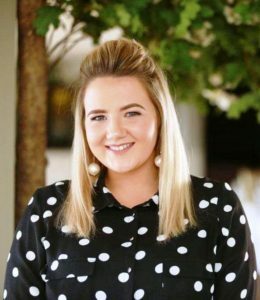 Your views about your experience: I had been aiming for a HIT Scotland scholarship a few years as I knew that wine was an area where my drinks knowledge had room for improvement. HIT recognised this and put me through a WSET qualification at Tennent’s Training Academy in Glasgow which meant I was able to return to the hotel and use my knowledge to help guests and staff to better understand our wine range. I was then given the chance to visit Wine Importers where I met my first Master of Wine – a hugely influential man with an impressive knowledge. It was a great opportunity to learn from him. Future plans: To undertake further training in order to extend my knowledge and help enhance the guest experience. Ultimate ambition: To continue to drive exceptional service and knowledge at our bars. Your views about your experience: Aimed at supervisory and early year management levels, the scholarship began with the question ,‘What is management?’. We discussed our core values, where these stem from and how they influence us to view the world – and management – in different ways. I particularly enjoyed having the opportunity to discuss and share experiences with like-minded individuals in a similar position in their hospitality careers. Every session provided us with different ways to look at the teams we worked with and the challenges we faced. We supported each other’s thoughts and assisted in building each other’s confidence within our respective roles. Future plans: To progress within the industry and one day secure a senior role. 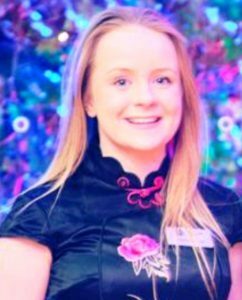 Ultimate ambition: To change people’s opinions of working within the hospitality sector and to be an ambassador for the industry as a whole. With thanks and gratitude to Caterer.com for their support in producing this feature.